DID YOU SAY WILL YOU BE? THE LINE IS AROUND THE STORE. 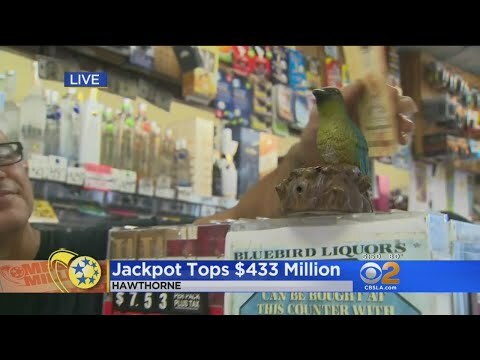 THE JACKPOT IS $400 MILLION. I I'M GOING TO WIN. Reporter: DO YOU FEEL LUCKY? THEY HAD PLENTY OF WINNERS.